Do your locks comply with your home insurers' requirements? If you don't know what I mean, or you're unsure whether your locks comply, do not worry.... you are not the first and certainly will not be the last. Please read on to find out how you can keep your home and possessions protected. As a homeowner, you should be aware that most insurance companies stipulate your locks need to be insurance approved and meet the British Standard (BS3621). If your home does not meet this standard then it is highly likely your home insurance will be invalid in the event of a break in. Don't put yourself and your possessions in any unnecessary danger and check your locks today. 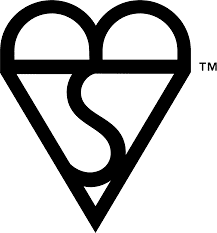 If your lock displays the following logo then it is a British Standard lock. You will see this in the below image of one of our insurance approved, anti-snap locks. 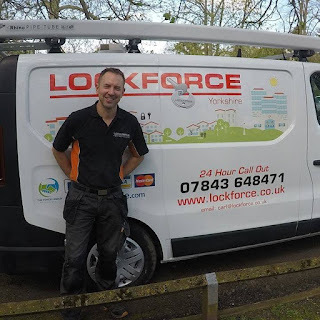 If you are at all unsure, call Lockforce Locksmiths Chichester today. We offer a free home security survey to ensure your property meets all necessary home insurance requirements and can best advise you on any improvements needed. If you find yourself in the unfortunate position of being locked out of your property, do not worry! I know your main concern is to get back inside whether it be day or night. This is why I pride myself on working 24 hours a day. 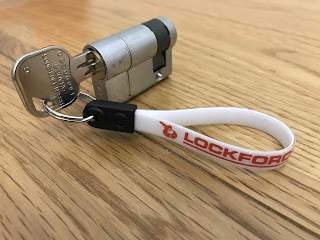 Whatever your lock out reason, snapped key, lost key, left them inside the house, or the lock will just not open, call Lee at Lockforce Locksmiths Chichester. 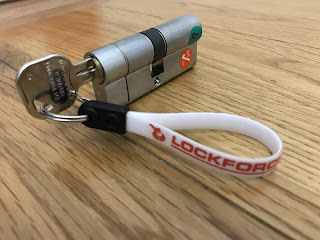 I have been trained in the latest locksmith techniques to ensure I am able to gain non-destructive access to your property in minimal time. We are DBS approved and carry ID at all times for your assurance. For more peace of mind check out our fab customer reviews. If we can help in your emergency contact Lockforce Locksmiths Chichester 24 hours a day. Why Should I Use a Professional Locksmith..? Over the weekend we experienced another customer who unknowingly called out a locksmith to sort a problem at their property. Adverts on Google - the Ads at the top of every page are a simple fact of paying Google to be at the top - anyone can advertise as long as they pay enough money. This is not to say that any one doing Ads is a bad locksmith - you just need to understand that anyone can pay money to Advertise on Google. Again look for Reviews as more assurance. Naturally Google - under the Ads and the Maps are the nature listings. It can takes a lot of time to get to the top of Google so you can be more assured that a company ranking well on Google has been established for some time. Again look for Reviews as more assurance. Call Out Fees - charging of call out fees is not wrong but be aware many locksmiths will have a NO CALL OUT FEE policy. Paying money upfront is unusual and you should validate the reason before accepting. Our suggestion is to be wary of Call Out Fees before you engage someone. As a home owner in Manchester you may be surprised to know that most insurance companies stipulate in their contracts that your Locks must meet British standards of Security (BS3621) otherwise your home Insurance may be invalid and the Insurance company will have the right to refuse your claim! Insurance companies want to make sure you are taking the right precautions to minimise your risk of Burglary to safeguard your home, contents and family. The break in would be bad enough but having the insurance company refuse your claim could be mentally and financially crippling! And that's something we don't want here at Lockforce Locksmiths Manchester. 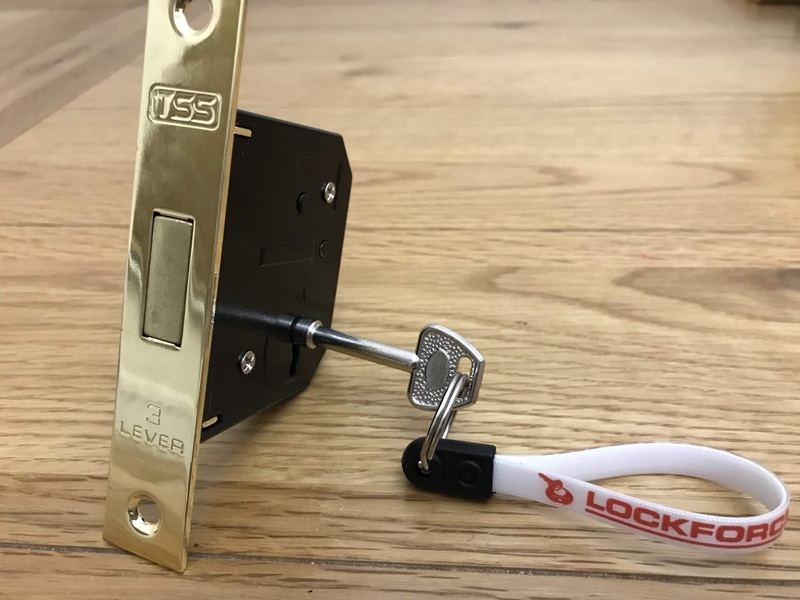 British standard locks are much safer and more secure than a standard lock, they are tested to replicate wear and tear over time and also against the most common methods of break ins. 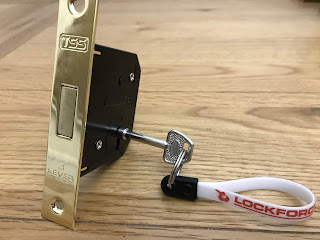 Here at Lockforce Locksmith Manchester we only supply British standard Locks and also Anti Snap Locks to better safeguard you against Break ins! 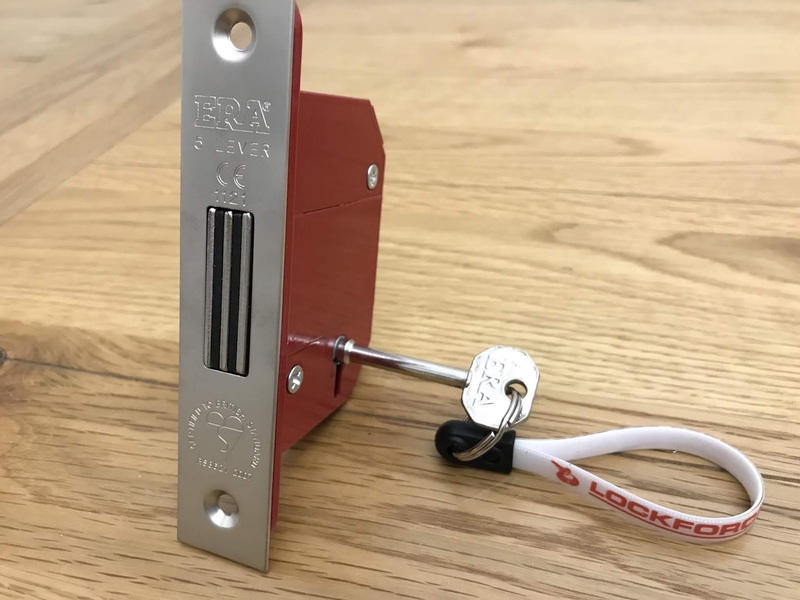 How to tell if you have a British standard lock? 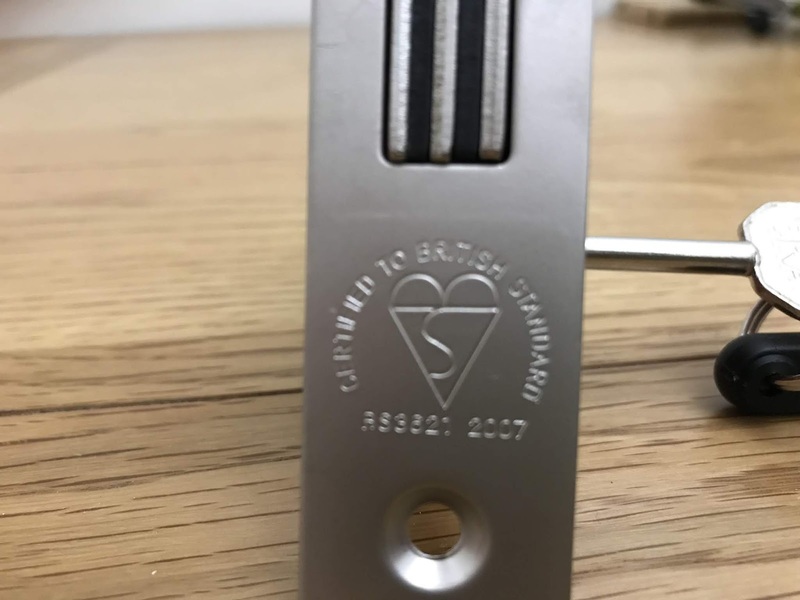 - Check for a Kite mark (which looks like a heart) on your lock (see the picture below). Or alternatively give Lockforce Locksmiths Manchester a call for a free and no obligation home security assessment of your current Locks. As a Local Manchester Locksmith we're never far away and always here to help! Give me a call for your FREE survey to see if you're locks are keeping you safe and secure! New Locksmith in Warrington & Widnes! Here at Lockforce HQ we’re delighted to welcome aboard Tom Lyons as the new Owner and Manager of Lockforce Locksmiths Warrington & Widnes! Tom joins the Nationally recognised brand following some experience in carpentry and locksmithing with a desire to be his own boss. He has now completed our intensive training programme and is up and running. Tom is DBS checked and verified and ready to keep you safe! When requring the services of Lockforce Locksmiths in Portsmouth it is really helpful for us if you know the type of lock you have. This enables us to assess the problem quicker and understand what will be required when we arrive at your property. We will also be able to give you a better guide estimate prior to arrival. Below, is an explanation of the various types of locks you will have installed in your property. A euro cylinder lock forms an integral part of various types of locks including multi-point locks used on UPVC and composite doors and also on some mortice locks used on wooden doors. They are mainly found on entrance and exit doors on both residential and commercial properties. Euro cylinders can easily be replaced. When you contact Lockforce Locksmiths Portsmouth, we can advise you on what type, size and level of security each cylinder will offer. A high percentage of residential and commercial properties will have a basic contractor’s euro cylinder installed. These cylinders are prone to what is known as lock snapping, so we strongly advise you to upgrade to an anti snap euro cylinder lock. At Lockforce Portsmouth, we stock anti snap cylinder locks as standard. We also stock anti snap BS 3*** cylinders to give you the maximum in security. 5 lever locks offer a higher security level to the 3 lever. The mortice lock is larger and due to the extra levers, they offer more key combinations. 5 lever mortice locks also offer extra security in the form of anti picks, anti saw bolts and boxed strike plates. These locks would still be installed internally, because they are not British Standard rated. These 5 lever locks are installed to external doors on a property for the requirement of insurance companies to qualify for contents insurance. The British Standard mortise locks have an anti pick, anti saw, hardened steel plates and also a security curtain to protect from the lock being picked. They also have a 20mm (usually 14mm) bolt that locks into a security strike plate in the door frame. If your current lock is not British Standard rated, we strongly advise you to upgrade your lock. 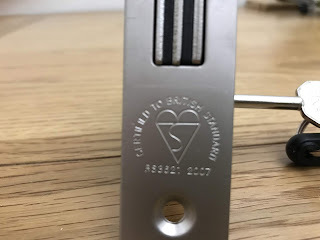 If you want to know if your current lock is British Standard, have a look where the bolt is and look to see if there is a British Standard kite mark. Night Latches (otherwise known as Yale Lock). A night latch is mounted onto the internal side of the door instead of being morticed into it. If the night latch is on the external door, they are usually accompanied by a mortice lock. 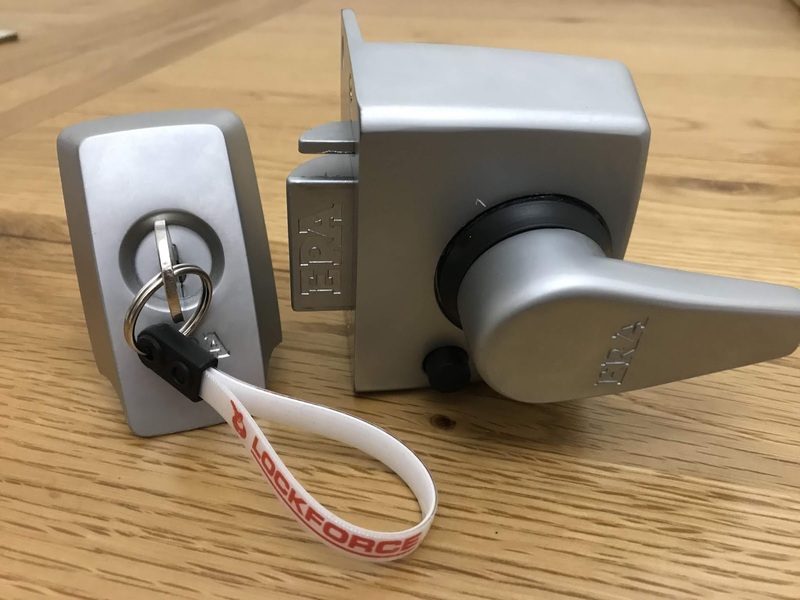 There are many types of night latches available, but if you are securing your external door, Lockforce Portsmouth recommend installing a British Standard night latch to keep your property more safe and secure. 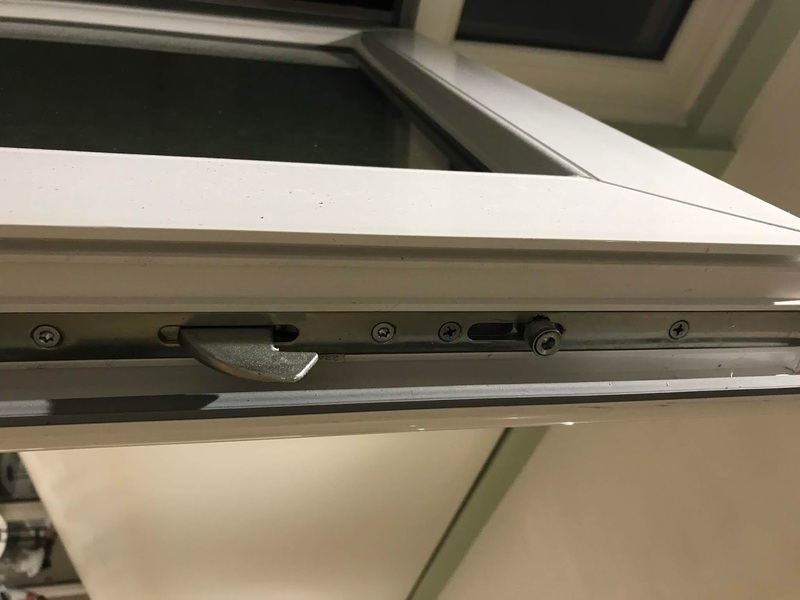 In terms of security, the British Standard night latch offers a 20mm anti saw bolt, internal lockable latch and a high security integral cylinder pull. British Standard 3621:2007 night latches meet the criteria for insurance companies and the police. At Lockforce Portsmouth, we supply and install all types of night latches to meet your security needs. - These types of locking mechanisms are commonly found within the frames of UPVC/composite entrance doors and patio/French doors. These mechanisms are operated usually with a Euro cylinder lock. The door handle throws the MPL into a locked (or unlocked) position and is then secured by locking the euro cylinder. Multi Point Locking systems consist of many versions. They have different amounts of hooks, rollers and mushroom bolts that lock into the framework of the doorway. 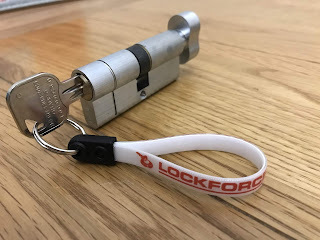 If you need more help or advice regarding your locks, please call Lockforce Locksmiths Portsmouth today on 02393 962104 or call my mobile 07841 449582.